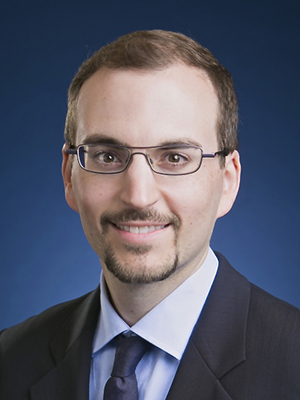 Damian Beil is a Professor of Technology and Operations at the Ross School of Business at the University of Michigan where he teaches courses in operations management and strategic sourcing. He co-directs the Tauber Institute for Global Operations, a joint program between the University of Michigan's Ross School of Business and the College of Engineering. Beil has received the Teaching Excellence Award in 2018, 2014, and 2007, and the Faculty Development Award in 2009. In his research, Beil develops mathematical models to analyze complex problems in sourcing. His work includes studies of how procurement auctions should be designed to account for supplier qualification screening, quality levels, and long-term maintenance of a healthy supplier base, and how feedback affects crowdsourcing outcomes. He has worked with over a dozen companies in areas from aerospace to retail – including Amazon, American Express, Avon, Boeing, BorgWarner, Coca-Cola, Conway, Corn Products, Dell, Domino’s Pizza, General Motors, Intel, Microsoft, Pfizer, Sodexo, Tongxin International, United Defense, and Vision Spring. Beil received a BA in Mathematics from New College and a PhD in Operations Research from M.I.T. His work is published in leading operations journals and he has contributed to several books on operations and sourcing. Damian Beil has 3 products available, viewing 1-3.